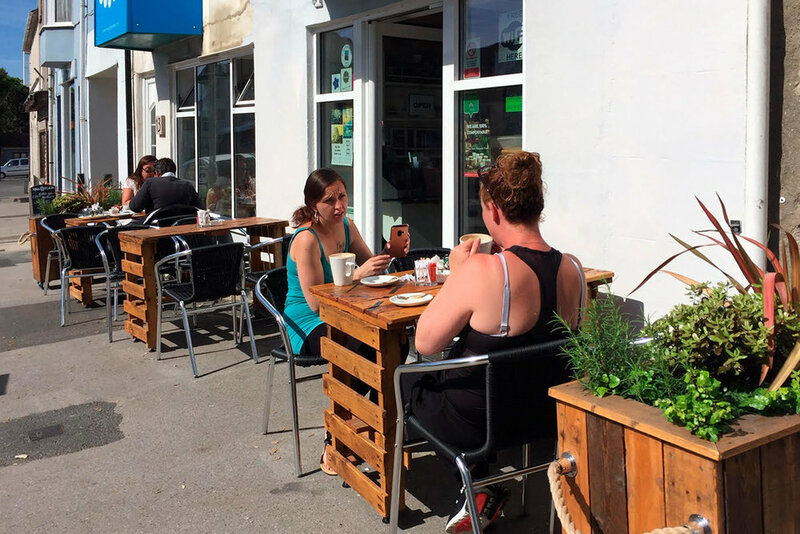 A tourist hotspot with fine food and refreshments, where visitors to Portland can immerse themselves in great art. Portland is an emerging tourist destination due to a continued vision to drive tourism to the idyllic island and White Stones is at the leading edge of this vision. White Stones Art Cafe Gallery is situated in the heart of Easton, Portland. Right in the centre of the Jurassic Coast, offering unparalleled comfort and style whilst relaxing over your food and refreshments. 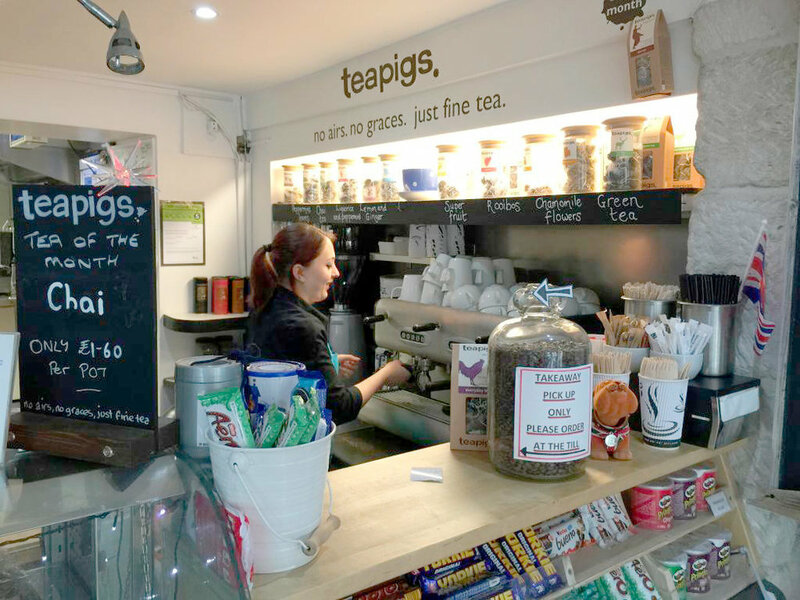 White Stones has established itself as place to go and relax with a selection of refreshments and food available. Our Art Cafe Gallery has also become a recognised arts venue and is attracting leading Dorset artists in regular exhibitions in the cafe gallery. 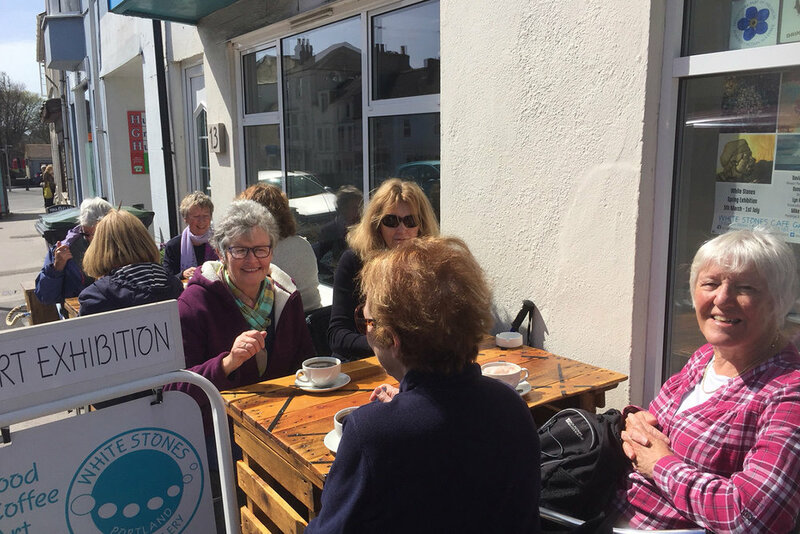 Qualified caterer and sculptor David Nicholls started White Stones Art Cafe Gallery from scratch and has totally transformed the premises into a contemporary arts and food venue. A space in which to sit and relax and enjoy good food and view high quality art. "the space offers something unique and different for artists, a superb platform to show and sell their work." White Stones is fully licensed, so, you can enjoy fine wine and beer along with the excellent food. You can also enjoy the wonderful courtyard garden, perfect for those hot summer months in Portland’s temperate climate. White Stones is featured in the book ‘52weekends by the sea’. Visit their website to share news, special offers and inspirational ideas for great escapes all around Britain. of art from local artists. When White Stones Art Cafe Gallery was created, David's challenge to himself was to change the perceptions of what an expected gallery space should be and break down a few boundaries. "I believe that Art should be open to all and White Stones achieves this." We hold three exhibitions a year, featuring work by Dorset based artists in a variety of media including ceramics, jewellery, sculpture, mosaics, paintings and prints. All artworks on display are for sale. Take time to appreciate great art while you dine and leave revived and inspired. At White Stones we pride ourselves on creating a welcoming and relaxing atmosphere and we have a great team making this possible. Take a look at out great Tripadvisor reviews and we hope you enjoy your next visit. White Stones Art Cafe is now family run. Ash and his partner Courtney have taken on the reigns to run the cafe side the business, with the occasional help of David's granddaughter Ivy!